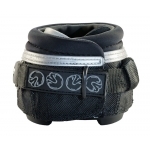 Urban Horse promotes a Pair of the Easycare NEW Mac Hoof Boots. Easycare New Mac Hoof Boots Are Tough Wearing and Exceptional Value For Money. Helping Bring a Natural Balance Back to Your Horse or Pony! 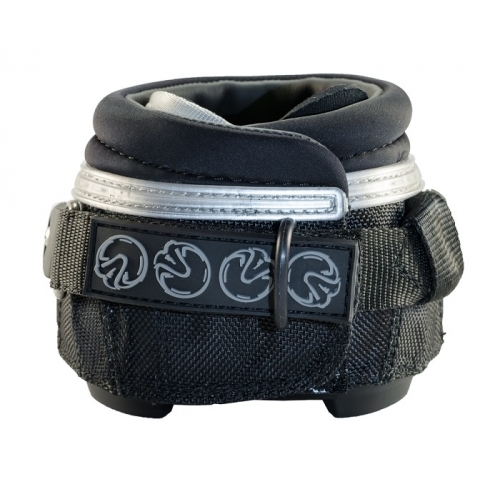 The Easycare NEW Mac hoof boot features are as follows - Please See Additional Images! Ideal for first time users. The hook and loop closure on the back, has been improved to a higher grade. The loops are criss-cross in layout instead of in rows. This means a lower-profile (less room for mud and debris) and tighter grip in your closure system. The inner leash has been upgraded to a tubular webbing. It is very soft and has no definite edge, allowing for it to roll if put under pressure, instead of folding an edge. The back of the New Easycare Old Mac has been changed to incorporate the Back Country to make it more comfortable and more secure. The Easycare NEW Mac Hoof Boots are is available in the following Sizes - Please See Size Chart Below! Not suitable for: Horses with wider than long hooves. Not intended for long distance or endurance riding. Supplied in pairs (one left, one right). The NEW Mac is a sleeker, more fine tuned version of the popular Old Mac G2 original hoof boot. Still retaining many of the innovative features of the original boot but with some important improvements. 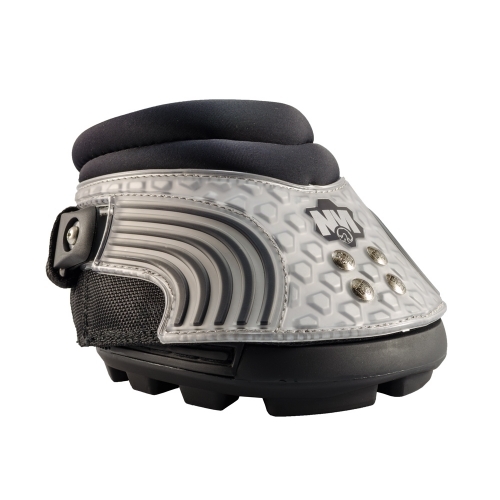 The NEW Mac’s feature the TPU patented hi-tech performance outsole incorporating the unique hoof suspension system, but with a sole that provides aggressive, yet slightly more sympathetic traction. 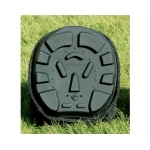 The boot has been rounded to allow a more natural breakover, and there is a reinforced front plate on the boot for added protection and wear resistance. One of the most important features is the shape of the boot which allows the NEW Mac to fit a far wider range of hoof shapes successfully. This boot is ideally suited to a hoof that is slightly longer than wide, but also works well on a variety of hoof shapes. The NEW Mac is often the only solution (when used with inserts) to cater for horses with excessively long hooves (often the result of illness or injury), as well as the rounder shape of some horses front feet. Easycare NEW Mac's can also be used during transport over metal shoes* to help protect the horse from bulb and tendon damage as well as hoof wall and sole bruising. 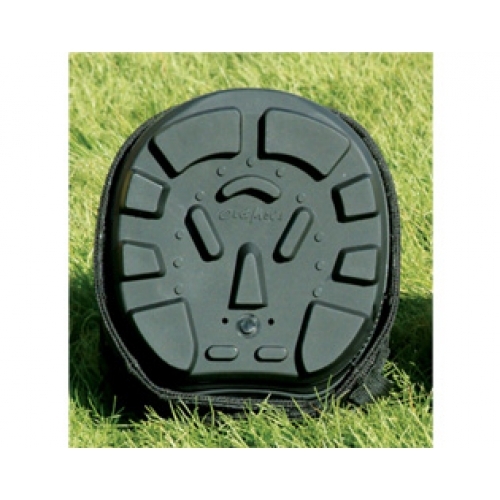 The exceptional traction helps improve the horses confidence when loading.